The first vaccine was designed to immunize the patients against multiple non-mutated cancer antigens, and the second against mutated antigens. All the antigens were specifically selected for each patient based on the analysis of the DNA and gene expression of their individual tumors. Fifteen patients newly diagnosed with glioblastoma took part in the study, which was funded with a €6M grant from the EU. The results showed that the vaccines were able to induce responses of the immune system against the tumors. Immatics, which coordinated the trial, was responsible for selecting the targets of the first vaccine. The German company BioNTech, vice-coordinator of the study, was responsible for the second vaccine. Both companies are now looking at translating the results of this trial into their own personalized immunotherapies. BioNTech has been running trials with personalized vaccines made with messenger RNA technology, whereas Immatics is looking at developing cell therapies. 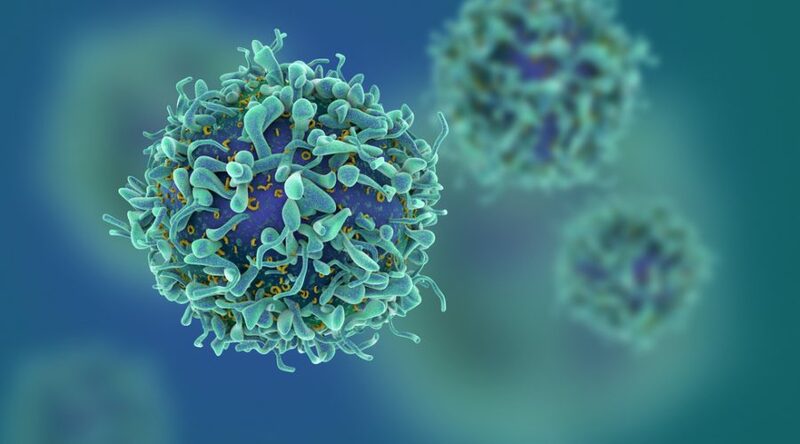 “Our focus at Immatics is translating the findings into cell therapies, which exhibit T cell responses approximately 1,000 times higher than those typically observed with vaccines,” said Singh. Immatics’ cell therapy consists of taking immune T cells out of the patient, priming them against multiple cancer targets, and expanding them in the lab before reinfusing them. “Biopsies from patient‘s tumors are analyzed and the expression of eight different non-mutated targets is tested. Tailored to this expression, up to four different defined T cell products are then manufactured for the patient,” Singh explained. Although the trial has shown it’s feasible to treat patients individually in clinical trials, there are still big challenges before personalized treatments become mainstream. “The biggest remaining challenge for such highly personalized immunotherapies is the long manufacturing period,” said Singh. “The total turnaround time from tumor analysis to application is 3 to 6 months depending on the type of targets and therapeutic modalities used.